Growing cannabis can be a tricky proposition. However, there are some tried and true techniques to preventing damage to the plants from overheating. 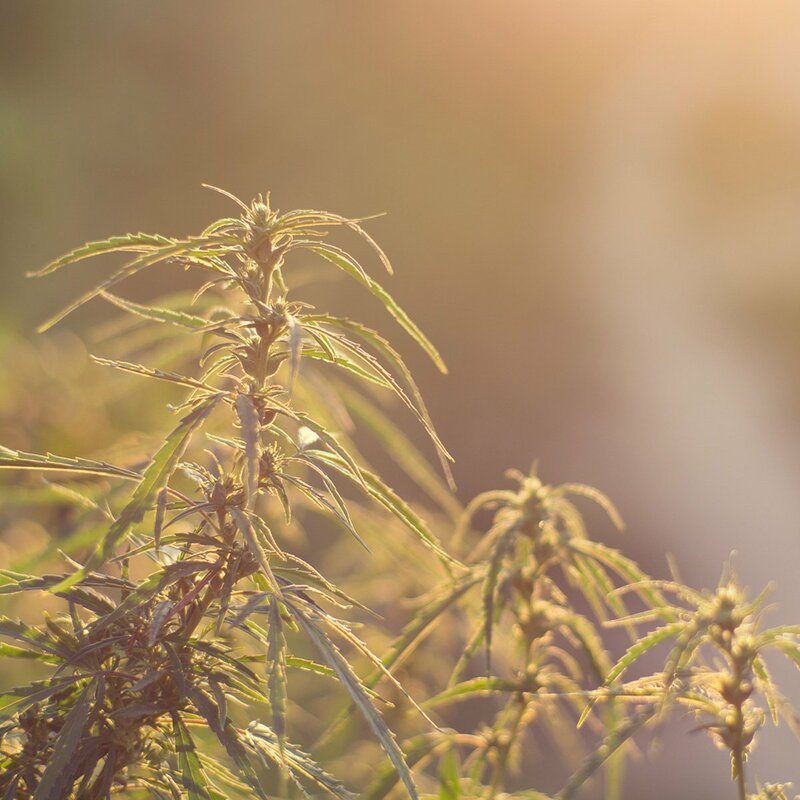 Cannabis, while a hardy plant, is still susceptible to stress from too much light or heat. And while it can survive slight variations in temperature, at a certain point your plants will begin exhibiting signs of stress. The leaves will begin to turn yellow or develop brown spots. When grown outdoors in weather that is too hot, the edges of the plants will begin to curl up, even if there are no other signs of stress. However, the most critical time of all to control the temperature your plants are exposed to occurs in the flowering stage. Of the two different strains of cannabis – sativa and indica – indica-leaning strains are the most susceptible to heat damage. Heat damage during budding will reduce your yields. The best way to be able to control the amount of both heat and light your plants are exposed to is to grow them indoors. Growing plants indoors is the best way to control growing conditions. However, even here plants can suffer from too much heat exposure. Plants begin suffering from overheating when the temperature in the grow area rises above 30 degrees Celsius. Apart from changing the lighting and ventilation in your grow room, however, there are a few other ways to protect your plants against heat damage – and that is to make them stronger overall by carefully monitoring the kinds of nutrients and supplements you feed them during the growing process. Seaweed – One of the best ways to inoculate your cannabis against heat damage is to apply seaweed kelp extract to them. This nutrient can be successfully used with both indoor and outdoor plants. Silica supplements – Extra silica (also known as potassium silicate) can also help your plants survive and even thrive when exposed to environmental stressors, like too much heat. Overall, plants treated with this supplement are more resistant to stress caused by either too much or too little heat. It also increases the abrasiveness of leaves, which acts as a deterrent to pests if growing outdoors. Root health supplements – When the temperature gets too hot during hydroponic grows, plants can also suffer from root rot – which occurs when the conditions are right for microorganisms to attack the roots. You can try using an air pump with large air stones to create more oxygen flow. Another way to deal with grow areas that tend to get too hot is to add more CO2 to the air. This also potentially adds to faster growth. You might also consider using coco coir instead of potting soil to nurture your plants, particularly if growing indoors. Air conditioners in your grow space can also work to bring the overall temperature down, even though this can get expensive! Instead of AC, consider installing a fan system that is strategically placed throughout the grow area to keep the temperature down and the air circulating regularly. This also includes setting up your exhaust fan properly. Because heat rises, your exhaust fan should be located at the top of course. Designing your duct system properly is also very important to controlling the grow areas heat. Keep all ducting as straight and short as possible – so that the hot air is immediately vented outside. A window fan used for this purpose is also surprisingly effective. So are oscillating fans, which are very useful for eliminating “hot spots” that can form in grow spaces. Your grow lights of course are one of the biggest factors adding to the overall temperature of the grow room. If you are using dimmable grow ballasts, you will be able to reduce the temperature of the space by reducing the power of your light. You can also reduce the direct heat experienced by your plants by moving your lights further away from them. Switching to LED lighting is another excellent (although not exactly cheap way) to impact overall temperature of your grow room. That said, because LEDs are far more energy-efficient than other kinds of grow lights, what you save in overall electricity costs may well make up for the money you invest in buying them in the first place. Some strains of marijuana are inherently more heat resistant than others, particularly those which originate from hotter areas of the world. Try to pick a sativa or Haze strain. Also stay away from autoflowering varieties. While these plants are less susceptible to low temperatures when grown outside, too much heat in the grow room can stunt the growth cycle and reduce yield.